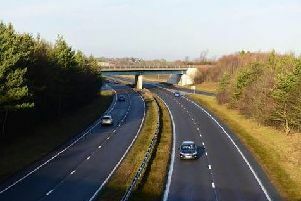 An accident has closed a slip road on the northbound A19 near Hatlepoolo. The exit slip to Elwick is shut between the A689 and the A179. Cleveland Police are on the scene. One witness said he had seen a van on its roof but the accident was not causing major delays.